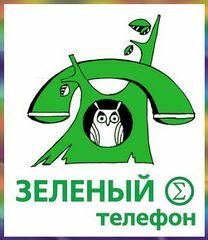 The Green Telephone offers the concerned inhabitants of the Novosibirsk region free information and consultation in relation to ecological problems and concerns. The service was created in 1995 within the framework of a Russian-Dutch project with the support of Milieukontakt Oost Europa and is now run jointly with the local administration of the Sovetsk region of the city of Novosibirsk. A ‘hot line’ answers to the most burning questions, and when necessary, educational seminars are organized for the activist of other NGO’s, and for students and teachers. Sociological enquiries enable us to collect information about the citizens’ most acute environmental concerns and to effectively distribute informational and campaign materials. Traditionally, the personnel of the service help organize charity actions for cleaning up waste from forests, rivers and other territories without active management, and for planting of trees and the creation of other green areas. The service fulfils the role of a catalyst for public action; therefore it maintains plenty of contacts with sponsors and citizens alike. During the past years, the projects and actions supported by the service have included the magazines ‘Navigator’ and ‘Tvoi gorodok’, the website ‘Akadem-info’, charities ‘Promiks’ and ‘Nash gorodok’, companies ‘Chistaia voda’, ‘LBL-Print’, Novosibirsk printing house, ‘Top-kniga’, ‘Neokom’, ‘Unipro’, ‘Coca-Cola – NVS Eurasia’, ‘Pita’, ‘Holiday Classic’, deputy of the regional parliament A. I. Kondrashkin, notary N.N. Duvalova, ‘Sibensim’, the local paper industry, governmental agencies, and Novosibirsk state university, among others. ‘This site is for all those who want to become eco-volunteers. It’s for those who not only love nature, but who also want to pro-actively save it. Please join!’ - The slogan of our site for eco-volunteers. Recently more and more people have begun to express interest in saving the environment, and practical ecological activities are becoming all the more popular. Local nature conservation organizations have also begun to more actively seek opportunities to work with volunteers. Global thinking, what does it mean? It is something very simple and at the same time, something very complicated. To understand and to sense the situation in the whole planet, see causes and consequences, to understand the role of one’s country, region, and city. To make a personal choice. Do not stand aside from the global concerns that touch us all, make your choice! Sibecocenter and the Ecoclub of the Novosibirsk State University are inviting you to join the springtime ecological activities. A project by the gymnasium №6 ecoclub 'Oijka' was realized over the summer within the framework of the children’s environmental projects of the Sovetsk region of the city of Novosibirsk, ‘The Real Future’. The pupils of the gymnasium created an arboretum and a seedling nursery around their school building. SibEcoCenter continues to support the environmental initiatives among children in a new format. Elves, rockers, bare feet, punks, ecologists, lovers of bikes and old dances, workers of Novosibirsk hydro-electric station, musicians from famous Novosibirsk groups and simply good people – more than 400 people gathered together on 23rd of August to fight the rubbish in people’s minds and on the neglected banks of the Novosibirsk reservoir.